Director of the property developer behind Greece’s most superlative residential resorts, Dolphin Capital Partners, Katerina Katopis is a fountain of knowledge when it comes to investing in property in her home country and an advocate of buying into the luxury branded residence lifestyle. 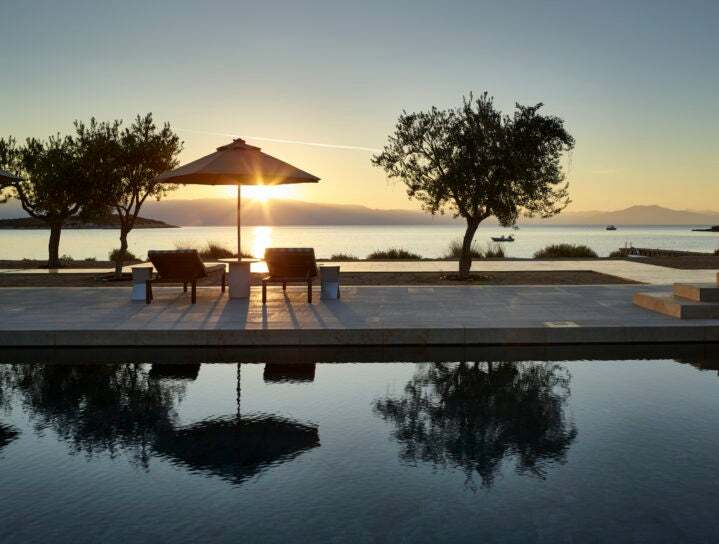 Katopis talks to Elite Traveler about the reason so many people are drawn to Greece right now, what it is that makes Amanzoe so special, and what we can expect from Greece’s next major player, One&Only Keá Island. What makes Greece so appealing to international buyers? First of all, it’s the sunshine and good weather – we have very good weather year-round. And a lot of people like to be in Greece because it’s safe, we have good connectivity and healthcare, and it’s a friendly environment. At the moment, because of the turmoil Greece has been through, you can find good investment opportunities too. In the prime locations prices haven’t dropped that dramatically but you can find good opportunities in lesser known places where prices dropped during the crisis. The primary draw is and always will be the location though. Has popularity increased in recent years? Through the crisis we’ve seen a lot of renewed interest, especially for tourism. A lot of people have supported Greece through this period. There were big investment opportunities around at the time, so people started looking to Greece. We brought the first branded residences by a very high-end well-known luxury operator (Aman Resorts) to the market at the same time, creating a lot of interest among people at the very top end of the market who were looking for something hassle free. Greece gets very good publicity for its tourism, and this year Greece is aiming for a record high of two million tourists. With the arrival of new hotels too, I think we’re moving in the right direction. Where are most of these buyers from? In our case, at Amanzoe, we have a very interesting mix of nationalities. Some are from Western Europe, we have Americans, Canadians, Swiss, British and German. The other people interested in buying property here are the Greeks who live abroad in places like Australia and South Africa. Most of them are familiar with branded residences because the concept has been popular for a long time, but it’s only recently that the concept has come to Greece. 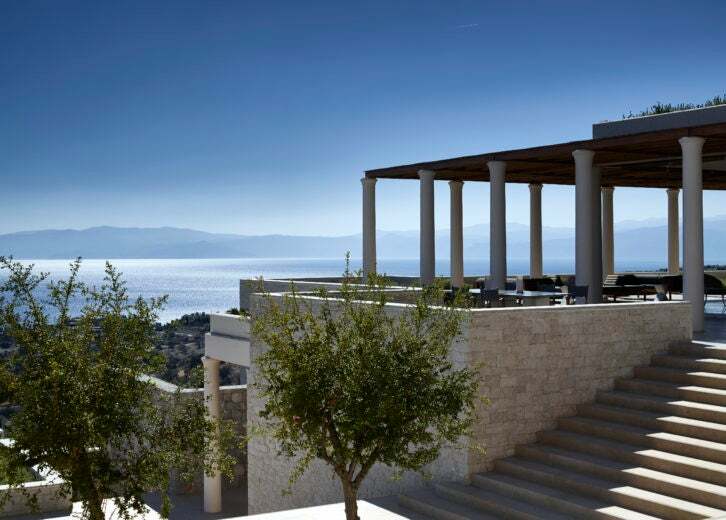 What makes Amanzoe particularly appealing? The thing that makes it stand out first is the fact it’s associated with Aman. All of the villas come with the Aman service and amenities. They’ll bring you a private chef and manage your maintenance, and they can rent your residence out when you aren’t using it. It’s completely hassle free because everything is managed for you. The other factor that makes Amanzoe stand out is its location on the Peloponnese coast, which is stunning but also quite unconventional. The resort has a very high vantage point amid olive groves that roll all the way down to the sea. You’re in the most stunning location and in an oasis of luxury. You feel on top pf the world, and we have the most sensational sunsets. 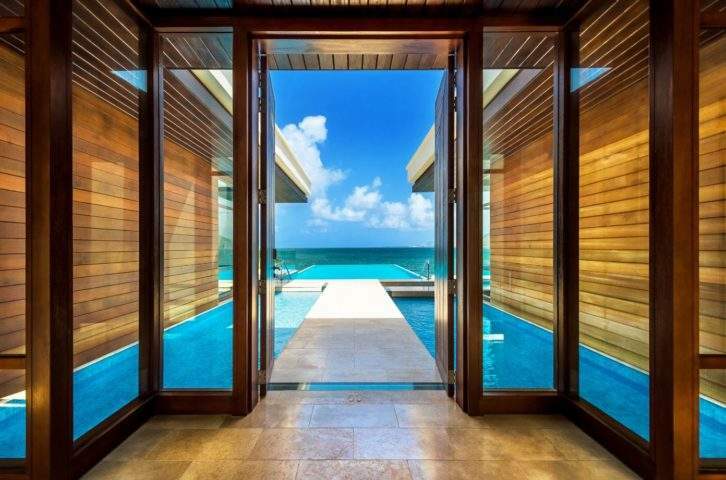 When we first went to the site to build these residences, Adrian Zecha, the founder of Aman Resorts, insisted on having the development built on a high point and away from the beach club, so people would have their privacy and these stunning views. And he was right. Residents can socialize at the beach club, which has two swimming pools, its own spa, gym and restaurant, and they have the opportunity to use the facilities of the main hotel. When you keep going back to Amanzoe, you find you’re always discovering something new, another corner of the resort. It’s one of those places that actually looks better in real life than it does in photos. The images can’t capture how beautiful it really is. Tell us about the other branded residences you’ve been working on? 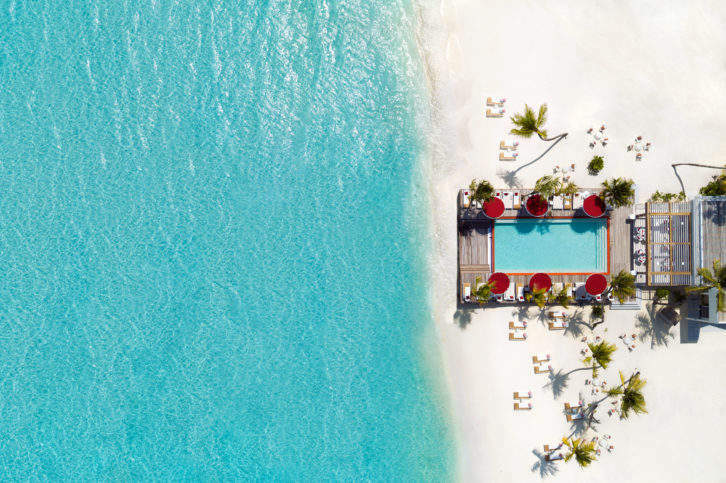 We have worked with Amanera in the Dominican Republic and Nikki Beach Porto Heli, and now we’re working with One&Only on the new One& Only Keá Island resort, which will also have branded residences. It’s on the closest Cycladic Island to Athens, so it’s very easy to get to. You can take a helicopter in 15 minutes. It has its own beach, which is protected from the Cycladic winds. As it’s the first time One&Only is coming to Greece, we expect it to be very successful. The projected opening is from 2020. Why do you think branded residences have become so popular? People are tired of managing their homes themselves. Branded residences offer an alternative to this, as well as the chance to live somewhere they might not be able to otherwise because of the logistics involved. In Greece for instance, to buy a piece of land, build your own house and monitor the progress is a difficult job for someone who is not in the country. People buy residences in places they want to keep going back to, but then they have to think about who will run the house or apartment for them. With a branded residence that problem is solved, and you don’t need to employ anyone to do it. The resort knows your preferences, so everything is already there for you when you arrive. Considered the most exclusive residences in Greece, Amanzoe Villas have generous living and dining space and private swimming pools, and residents have exclusive access to the Beach Club as well as the opportunity to use the facilities at the Aman hotel, from its ocean-facing restaurant and spa to its gym, tennis courts and games room. One- to six-bedroom villas are available, starting at around $3.7m. For more information, go over to amanvillasph.com.